Atiku Abubakar has reportedly instructed his lawyers to file for a demand for the current Buhari's compulsory DNA test from neutral and different non government doctors which should be under the supervision of both parties. According to reports online, he also demanded that the WAEC chief should be subpoenaed to testify about the authenticity of the issued WAEC certificate. "The purported Buhari's certificate should also be subjected to carbon dating and other scientific tests to ascertain the authenticity of the document." He alleged that the current person there in Aso Rock is not the real Muhammadu Buhari. He also reportedly instructed his party faithfuls to calm down and have faith in him because he is not going to let any stone unturned. 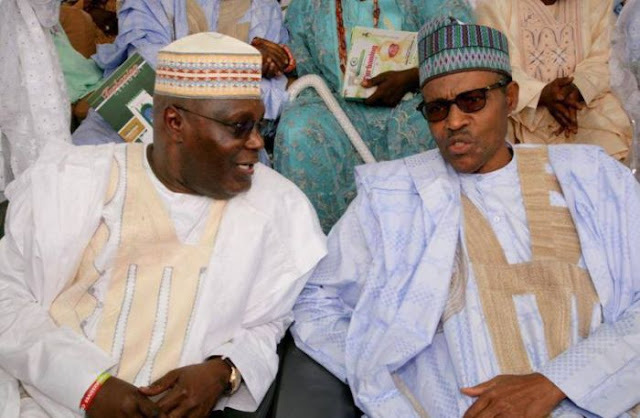 "Nigerians have the inalienable right to know the real identity of their president (amid very serious alegations of high treason) and impunity by holders of the executive office in Nigeria should cease to be the order of the day", Atiku reportedly said.